Home AI Market ResearchEnabling Technology & Infrastructure AI & Blockchain: Double the Value or Double the Hype? Artificial Intelligence (AI) is not the only technology that’s getting a lot of media and investor attention these days. Blockchain is emerging as a technology in its own right separate from the much-hyped rise in value of cryptocurrencies. Proponents of blockchain claim that it will have fundamental, ground-breaking impact on all industries, changing the way that we transact with one another. Blockchain will enable greater degrees of transparency, trust, and decentralized control where governments and companies can’t own or manipulate the data at their will. Sounds profound! Surely, blockchain would have some impact on AI and vice-versa. As we discussed in our recent AI Today Podcast, what are the ways in which AI can impact and influence blockchain, and ways in which blockchain will be able to add value to AI? Or perhaps this is all just double the hype? Cognilytica is AI-focused, and so our thoughts on blockchain are from an AI perspective. There are many great online videos and articles about blockchain if you’re not familiar with what it is. In our summation, blockchain is a decentralized, distributed, immutable ledger of transactions that has elements of transparency, trust, verifiability, and “smart contracts” that provide a programmatic way to enforce transactions with trust and verifiability. And we’re not just talking about financial transactions: these could be informational exchanges, chain of custody or authority for an item, contracts, and all sorts of valuable exchanges. So why does blockchain matter so much? Blockchain is making it so that we don’t have to trust an intermediary any time we’re trying to accomplish some sort of transaction of value between two parties. Intermediaries can introduce inefficiency, cost, potential fraud, arbitrary decision-making, and a loss of privacy and control. In addition, the lack of transparency and immutability gives a place for criminals and mischief makers to cause trouble without the visibility of the people it’s impacting. Blockchain promises to change all of this by making it nearly impossible to change any sort of information put on the blockchain and eliminating any central authority or control over that information. In sum, with blockchain, any time we want to facilitate a transaction between multiple parties, and we want to do so in a trusted, immutable way without use of an intermediary, blockchain presents a possible approach we can use. How can Blockchain make AI Better? There are some interesting ways we can use a distributed, decentralized, immutable, transaction ledger (yes, we just said blockchain without saying blockchain) to make AI better. First, we can think about putting the various training models and iterations of those models on the blockchain, and share them among all the machine learning participants to give instant access to information to all participants without requiring a central, cloud-based server. Perhaps we have network-edge cameras that are doing facial recognition. Rather than push a database of all facial images to each camera, we could have each camera train on specific faces and then push those to the blockchain. As each camera learns new faces, the blockchain gets added to, and all the cameras then inherit the facial recognition capabilities without requiring a master server. We could use this approach for any shared data model example, and these systems would exhibit network effects where the more devices get added to the blockchain, the more the whole system gets smarter. Continuing this idea, we could use blockchain to also allow end-user enterprises to share with each other and their customers a shared model of the customer, patient, citizen, user, client, or whatever is needed so that data can be added onto in an open, immutable, shared, transparent way that is not owned by a single entity (the government or large corporations like Amazon) and where all the players get more value from the interaction. Specifically with regards to AI, this means that as different ML approaches “learn” things about individuals, these learnings are added to the blockchain and all the users benefit so that they’re not all repeating the same, wasteful data collection practices, that can lead to data breaches and other cybertheft and security risks. At the ultimate extreme of this shared AI data model concept is the idea of the “single brain” approach to AI. Increasingly popularized by folks like SingularityNet, what if we can put all intelligent systems on the same blockchain so that they can all inherit and learn from the experiences of the other bots on the network? As the network grows and more learnings are shared, the collective intelligence of the whole system can theoretically increase exponentially resulting in progress on AI ideas at a much faster rate. This of course is theory, but is something specifically enabled by blockchain. Can Blockchain Make Explainable AI (XAI) a Reality? Another intriguing area where blockchain can help is by providing a means by which we can make Machine Learning systems more explainable. As we’ve detailed in our previous writings and podcast on Explainable AI (XAI), one of the challenges with certain machine learning approaches, and Deep Learning in particular, is that they are a bit of a black box. We don’t know exactly why and how certain decisions are made in that approach and that can lead to certain issues. With blockchain, every step of a decision making can be added to a chain providing some visibility and immutability into the decision-making. While it’s not clear exactly how this would work or how granular blockchain can really be in this situation, there’s some possibility of value being added here. One of the biggest issues with regards to blockchain is that it’s not built for efficiency, or even necessarily for very large scale. 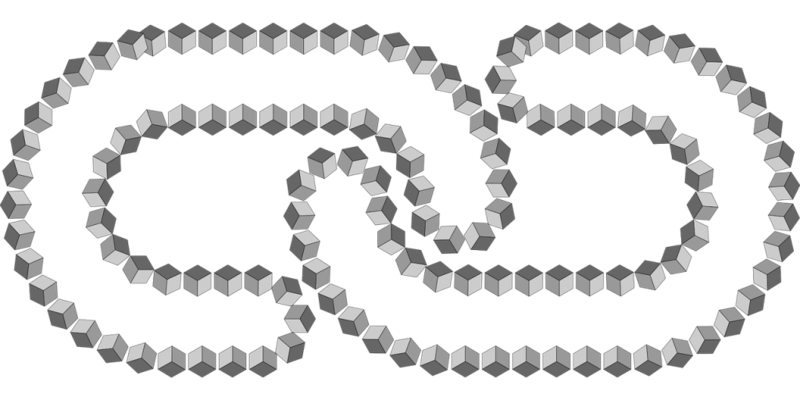 As blockchains grow in size, the systems that deal with them will have to consume increasing amounts of processing and storage power to deal with those chains. Some are looking at using ML approaches to find efficiencies and areas of optimization in blockchain technology. Another thought is that we can use AI-enabled cybersecurity systems to keep an eye on the blockchain for unusual and possibly fraudulent behavior, in effect, looking for outliers or “cybersecurity for Blockchain”. This idea is well-suited for ML because much of how ML works is by identifying and detecting patterns and also identifing outliers to those patterns. Once a ML is trained on the “normal” and usual behavior of a blockchain, it can spring into action, perhaps through smart contracts, whenever it sees unusual behavior that might be attempts to defraud or otherwise impair the system. In this way, as blockchain helps to make AI better, the AI systems will make blockchain better and keep it trustworthy as well. Many see AI as an area rife with hype and oversized media attention. Companies are claiming all sorts of capabilities and benefits from AI that have yet to be realized. And if you just replace the word “AI” in the previous sentences with the word “blockchain” you can say the exact same thing. Lots of hype. Lots of promise. Little delivered. So is it possible by combining these two things we’re just doubling down on the hype? Certainly a lot of people are saying that’s the case. However, it might be just as likely that individually AI and blockchain will indeed deliver value. And combined, they might provide even more value. 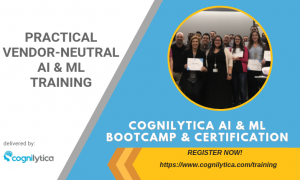 Cognilytica is keeping a close eye on AI specifically, but we’ll also keep tabs on where blockchain is heading if it does indeed help realize the promise of better AI systems. Have questions about this or want to discuss further? Engage with us.